As a host and server at Irregardless Cafe, I can honestly say the job comes with many perks: friendly customers, helpful coworkers, a company philosophy of serving the community, and obviously amazing food anyone and everyone enjoys. One of my favorite parts of my job is enjoying the talented musicians who take the stage every night. With such a diverse and energetic lineup, Irregardless has become known as a destination for dinner and live music in Raleigh. This Saturday, the Ti Harmon Group will be playing at the restaurant. I had the opportunity to chat with Ti and learn more about her background, performance style and inspirations. As an internationally acclaimed artist, Ti has produced multiple albums and won several awards. After graduating from NYU, Ti took her talents to Spain and France. We are now fortunate to have her in the Triangle, inspiring audiences with her fellow NC Central University Department of Music classmates. Ti was born in Philadelphia, where she agrees there must be something in the water. Watching groups from her hometown such as The Roots, Patti LaBelle and Jill Scott succeed gave her hope to follow her dreams. As a child she would create melodies in her head, trying to find a way to record and communicate them, even before she knew how to write music. Her family introduced her to an eclectic range of artists, from Sara Vaughn and Billy Joel to Motown and Classical. She discovered Michael Jackson and was in love. I speak for the entire staff when I say we’re looking forward to it too! Join us for dancing and a electrifying performance by the Ti Harmon Group, this Saturday at 9pm. Anyone who’s heard of Sidecar Social Club knows of the Ford Galaxy they’ve posed in, courtesy of F.O Finch or by Lisa Wood’s indistinguishable feather hat worn at every performance. Fun fact, Lisa’s been documenting all the photos she’s taken with the hat on twitter with the #girlwiththehat. They’ll be heading towards Irregardless this Saturday for a night of fun, dance-worthy music. 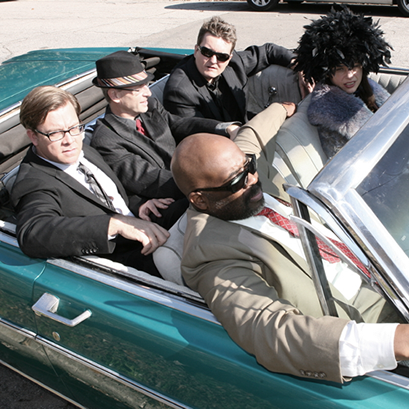 The members of the Sidecar Social Club consists of Jim Crew, Aaron Bittikofer, Edward Butler, F.O Finch, and Lisa Wood. In 2011, Lisa Wood contacted Jim Crew to start a group. Nothing was definite and none of the members had actually known each other, but they’ve revolved around the same venues and had similar musical interests. When they all got together for a session, sparks flew and they’ve been together ever since. For those who are wondering whether Sidecar Social Club is coming out with new music needn’t worry. Almost four years from their last album SSC Live released in 2014, they’re in the studio working on a new album called “Mystery Island” with 11 original songs, set to be released this summer. Crew said, “Mystery Island is a song I wrote a couple years ago. Aaron came up with the title and Lisa wrote lyrics to what was an instrumental piece that I’d written. She wrote the lyrics in French and they describe a rendezvous on an island and it’s more about a feeling and has a bit of a story.” Aaron mentions they’re excited for the release and either can we. Carrying his instrument of choice, the trumpet, Al Strong will make his way across the Irregardless stage, come Saturday night. 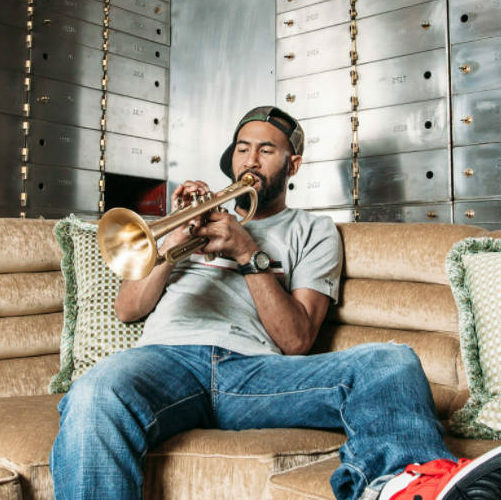 Jazz trumpeter, composer, educator, and curator, Strong is a jack of all trades when it comes to anything jazz. He’s played and recorded for artists such as Aretha Franklin, Clay Aiken, Big Daddy Kane, and Phonte Coleman, to name a few. Having grown up in a heavily music-appreciated environment, with his grandmother playing gospel hymns on the organ during her weekly in-home church services, and his grandfather introducing him to Ray Charles, Jimmy Smith and Donald Byrd, Strong gained an interest in the production of music and the sounds instruments make. Strong attended Duke Ellington School for the Performing Arts where he was able to performing with his school’s jazz band overseas. From there, he received a full-tuition scholarship to North Carolina Central University (NCCU) to study jazz and then earned a masters in Jazz Performance/Pedagogy at Northern Illinois University. Now, he is an adjunct trumpet professor at NCCU as well as co-founded the Art of Cool Project, with Cicely Mitchell. The Art of Cool project is a non-profit, jazz organization with its two major programs being Art of Cool Festival, a jazz music festival in Durham, and stArt of Cool, a jazz summer camps for at-risk youth. This year marks the fifth year anniversary for the Art of Cool Festival and just last year, the festival expanded to Charlotte! In 2016, AL Strong released his debut album, LoveStrong Vol. 1, which demonstrates the style he’s come into throughout the years. Perhaps over ten years in the making, as some of the tracks can be tracked to the beginning of his NCCU career. The hardest question an artist or composer is often asked is: which is your favorite piece. The answer is never simple and it’s not often one single piece, because each piece of music, of art, of composition, is a part of the artist. Al Strong had hesitations answering this, but still, he gave an answer.